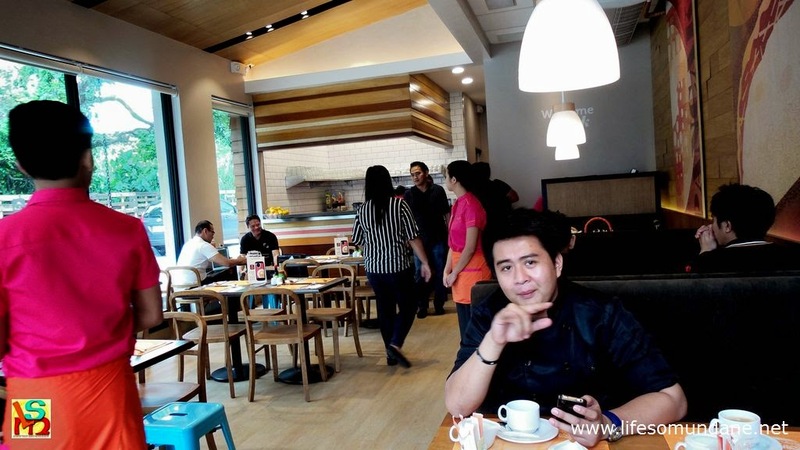 Late last month, when I went to attend the dry-run and blessing of the new Pancake House restaurant in Lipa City, I was surprised as the store manager seated me and my companion when he asked me if I was the football coach. Although he was asking a question, the tone with which he asked it sounded more like he already knew that I was. Then there was the curious fact that I had not laid my eyes on him before that moment. So I felt impelled to ask, “Yes, how do you know that?” He nodded in the direction of a chef in black coat by the cashier’s counter whom I was sure I also had not seen before. The name of the chef, I was told, was Nikko Reyes; and that he was from Lipa. I asked to speak to the young man, who quickly came to join us at our table. He was not from Lipa at all but rather from the Municipality of Mataas-na-Kahoy, probably a quarter of an hour from the city. It turned out that he was a De La Salle Lipa graduate from the high school class of 2008. This immediately explained why he knew me as the ‘football coach.’ More than just being an alumnus, he told me that he also trained with the football team. Every chef, of course, dreams of one day owning his own restaurant. Whether young Nikko does is something already written in the book of his life, albeit still very much in the future. The pages of the book are still turning on a day to day basis. My memory is strained after having met so many people in a three-decade long career in education. However, I remember all the boys who trained under me – excepting those who stayed for only a week or so – so I thought it strange that I did not remember him. He was with the elementary team, he explained; and did not continue playing in high school. It is, however, truly a small world that we live in because one of his nephews turned out to be in the last high school football team that I coached and is now in De La Salle University-Manila’s UAAP team. Inevitably, the conversation swung around to the alma mater; and it surprised me that he had not gone to visit since graduation. Most alumni/ae, particularly those who live nearby like him, make it a point to drop in on the alma mater every now and again to remain in touch with lowerclassmen and teachers. Nikko was almost apologetic when he explained that he was not a very good student who just went through the motions in high school. All he wanted to do, he told me, was to cook. He said that he had vowed to himself to return to the school only when he has become successful. But why is that, I just had to ask him. I told him that he should visit the alma mater. His teachers would not hold it against him that he did not do too well in terms of academics back when he was in high school; and that they would all be more than happy to see him. Chef Nikko Reyes graciously joined us at our table. Besides, success is always a matter of perspective; and there are many of Nikko’s own classmates who will look on with envy at what he has made of himself. At any age when a few of his own classmates are probably still in school, he is already the Corporate Research and Development Chef of Pancake House, one of the biggest and most prestigious food chains in the country. As Development Chef, Nikko is in charge of new product development for all Pancake House stores. Moreover, he is allowed to investigate community delicacies and ascertain if any of these can be adopted into the menus of local Pancake House stores. Nikko is a classic example of what modern educators call the intelligences. In a nutshell, these are the various ways that a student’s intelligence will manifest itself. The problem with standard basic education is that it is made for everybody but tailored for nobody in particular. Hence, many young people suffer through classes they really have no interest in taking. Thus, graduation from high school was probably a liberation of sorts for young Nikko, who could then turn his attention onto what he really wanted to do: cook. He enrolled at the prestigious Centre for Culinary Arts in Manila, had one or two jobs after gaining his certificate before landing his current job at Pancake House. For the meantime, I seemed to have convinced him that there would be nothing to lose and everything to gain in visiting the alma mater. Every school feels proud when its graduates do well; and while Nikko is still only just building his career, even this early it is already apparent that he has the right tools to make a name for himself in the culinary world.